When Northern missionaries, many Baptists, in 1863 onward arrived in the South to work among freedmen, they oftentimes found black congregations led by licensed, and in some cases ordained, preachers. This was especially true in Savannah, where the First African Baptist Church and Third African Baptist Church, both among the older black Baptist churches in America, were faring quite well. In such cases, the missionaries set about helping churches affiliate with denominational entities. 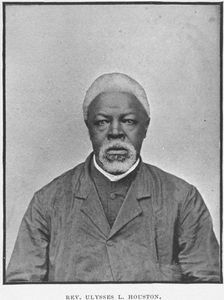 In addition, Northern missionaries discovered, in the months following the war, that some rural black congregations were led by preachers conducting regular religious services. Rural preachers did not typically have the education or licensing and ordination as did many city preachers, but were devoted to their congregations. With the war now over, in many instances black Baptists are yet occupying church meeting houses originally owned by their former masters and other whites. Already, however, white Baptists (as are white citizens of other denominations) are turning to legal means to extricate the freedmen occupants from the structures. And in legal battles, lesser educated freedmen stand little chance of winning. Being “simply Baptist,” in short, is not usually enough to protect black Baptists from already resurgent white Baptists of the South.